With all the hullaballoo about the aviation, it seemed like the right time for this post. 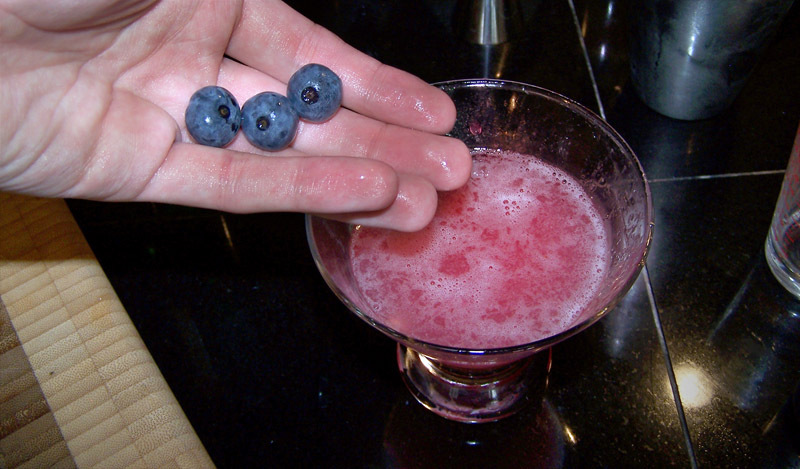 Last year I bought a juicer, and it opened up a world of mixed drink possibilities. Everyone wants to have the coolest, sleekest gadget around, but I got mine from a second hand store for twenty dollars. Although it’s no Champion, it gets the job done, and I get to enjoy its tasteful mauve 80s aesthetic. Last March I had the feeling the spring was upon us, and to celebrate I juiced a whole english cucumber, skin and all. As you can tell, I am a wild man. The skin made the juice come out in a rich forest green color, but it also added a discordant sensation of chlorophyll, which took away from the bracing, crisp quality that any presentation of cucumber aspires to have. 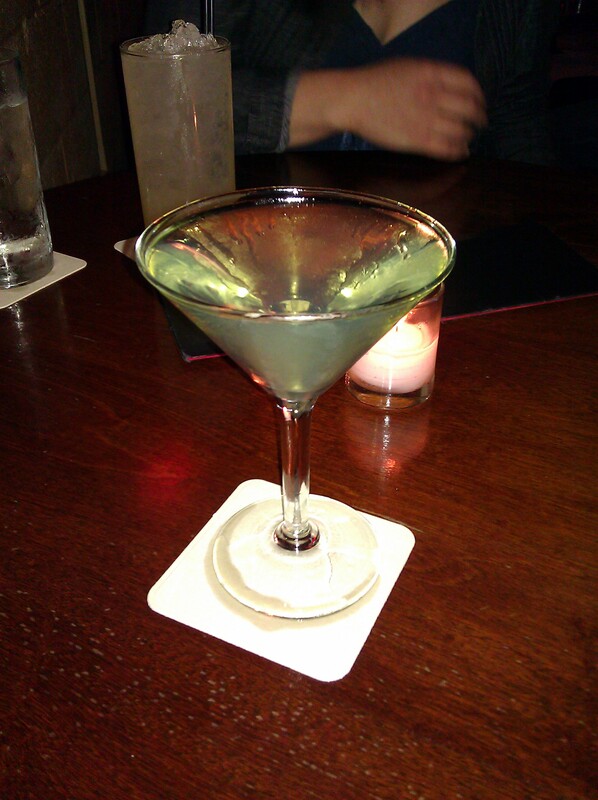 The Aviation is intended to have a subtle purple-bluish color, evocative of a clear, open sky, whereas my drink was the color of a swamp, and just a bit muddy. Obviously, I will peel my cucumber in the future, which will also provide a much smoother texture, more appropriate to the original spirit of the drink. 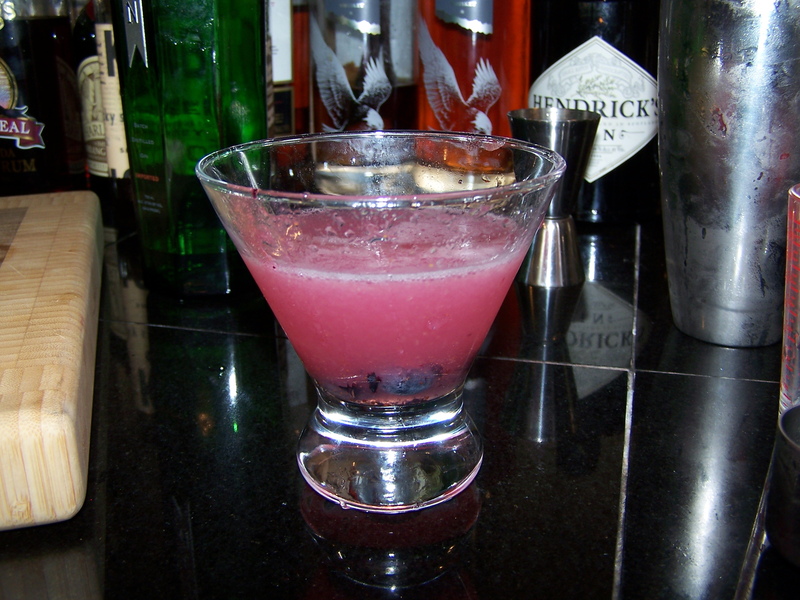 Other than that, the cucumber juice was mild and a perfect complement to the violet, capturing the romance of spring. 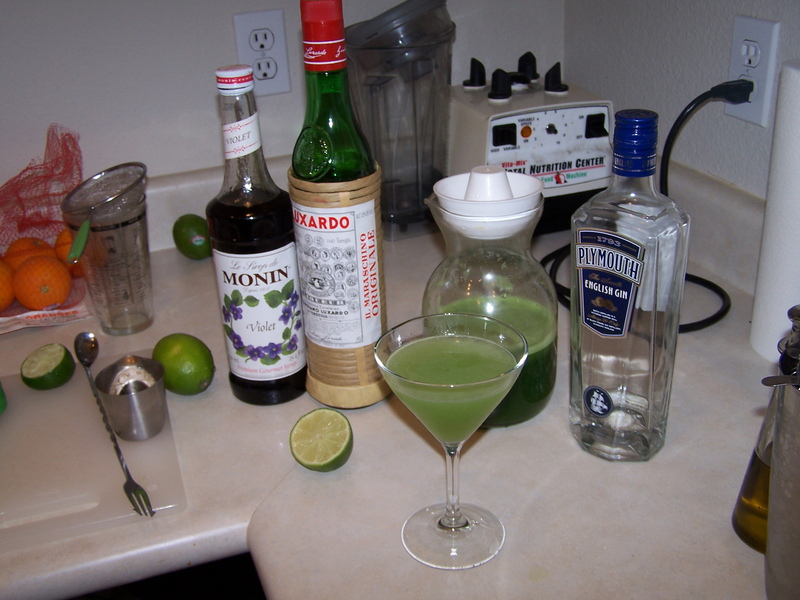 Categories: classics, original creations | Tags: aviation, cucumber, gin, juicer, maraschino, violet, violette | Permalink. On Wednesday night I went to the Zig Zag Cafe by Pike Place Market. It no longer has the prestige of Murray Stenson, but the drinks are still great and the service is lively. Their menu is on the conservative side, which I think reflects the aesthetic of the place, and probably also the tastes of an older man. You won’t find cantelope lemongrass soda or tamarind foam, but you will find top shelf spirits handled with the care they deserve. In all of my visits to the Zig Zag I have found that they dilute their drinks slightly more than other craft bars I have visited, and also more than I do at home. I am not criticizing their choice — I think it is more stylistic than cheap. The higher water content means that their drinks are always immaculately cold and smooth, but they sacrifice a little bit of the intensity of the flavor. The additional dilution makes their drinks very accessible; there is nothing harsh or caustic about anything that they serve, and I surmise that caters to the crowd in a major tourist location like Pike Place Market. I made the drink with these proportions and it was very much as I remember, but I do not think they used Wray and Nephew. 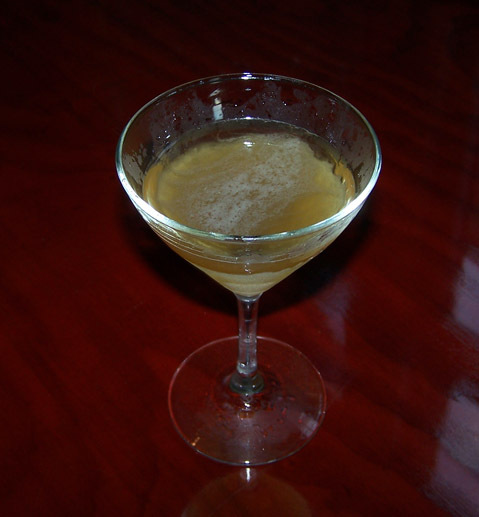 The funkiness from my choice of rum combined with the the dry vermouth was a bit more assertive than in the one at the Zig Zag, and I may try it again with something milder. Categories: excursions | Tags: chatreuse, light rum, zig zag cafe | Permalink. This week I bought a moka, and some beans from a local coffee shop, Vivace. The beans on their site look delicious! I have never had a way to brew coffee before, so this is a fun new experience for me. It makes coffee very similar to a french press, but perhaps a bit muddier. The output from the Moka is not as rich as espresso, but the ratio of effort:quality is outstanding. One of the first things I did was use it to make Francis the Mule, which I found on Chuck Taggart’s blog, Looka. When I tasted this in the mixing glass, pre-shake, the coffee flavor wasn’t where I wanted it to be. There was too much of the lemon/almond, and not enough bitterness, so I upped the proportion of coffee from 1/2 to 3/4 oz. This proved to be an excellent choice, imparting the drink with a perfectly salient, but not overpowering experience of coffee. I also made a slight variation by using Buffalo Trace bourbon that I infused with a vanilla bean for five days. I have found that vanilla-infused bourbon really brings something special to the concept of a whiskey sour, be it daisy, fix, or something more exotic. 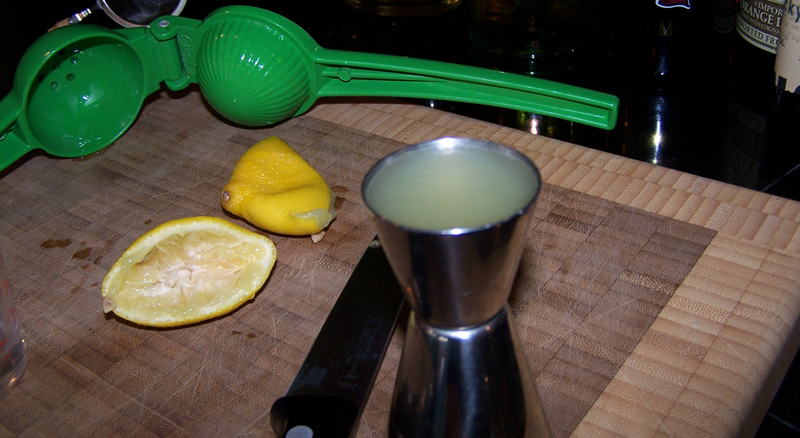 I also thought there was enough going on because of the vanilla that I decided to omit the lemon oil from the garnish. Lemon oil and vanilla occupy different flavor frequencies, but there is some overlap and it is critical that one can taste each element in a mixed drink distinctly; too many flavors overwhelm the palate, and result in a drink that tastes of nothing in particular. 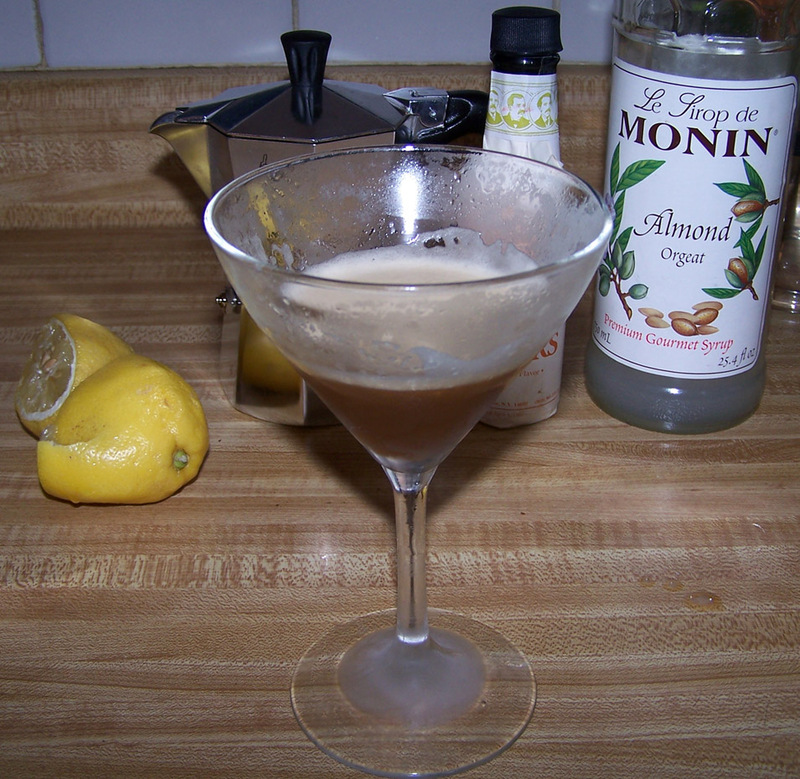 While we’re on the subject of coffee, lemon, and almonds, I was entertaining a friend who was allergic to alcohol, and I was inspired to make a sour using coffee as the base “spirit”. 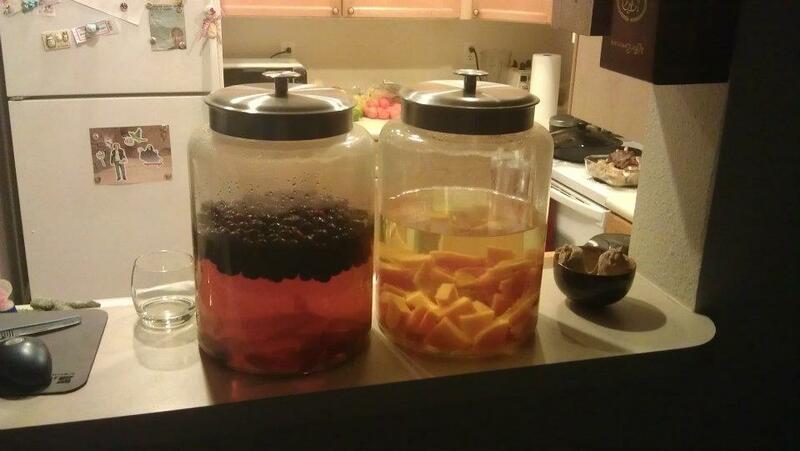 I would have loved to try some sweet vermouth with this, but that would, of course, break the no alcohol rule. Fee’s bitters are suspended in glycerine instead of alcohol, so they are completely on the table, mercifully, and Fee’s orange was perfect here. When I made this drink, Francis the Mule was not in my thoughts, but it must have manifested subconsciously, because the recipes are extremely similar. Serve this to your DD, they’ll love it. Since there was no alcohol in this one, an egg white was right out, but fortunately the coffee frothed up like a monster, as you can sort of see. I have several other ideas for coffee as a base spirit, and I also intend to experiment with replacing coffee liqueur in drinks with fresh coffee. Due to the variation in beans, and the bitterness of the brew, it’s almost like adding a new class of amari to my bar. 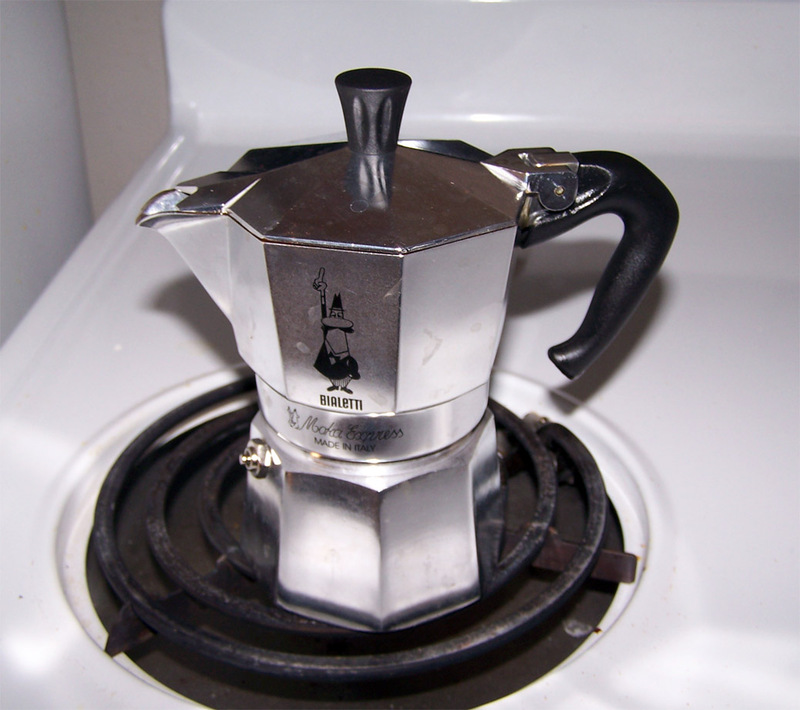 Categories: original creations | Tags: bialetti, coffee, orgeat | Permalink. 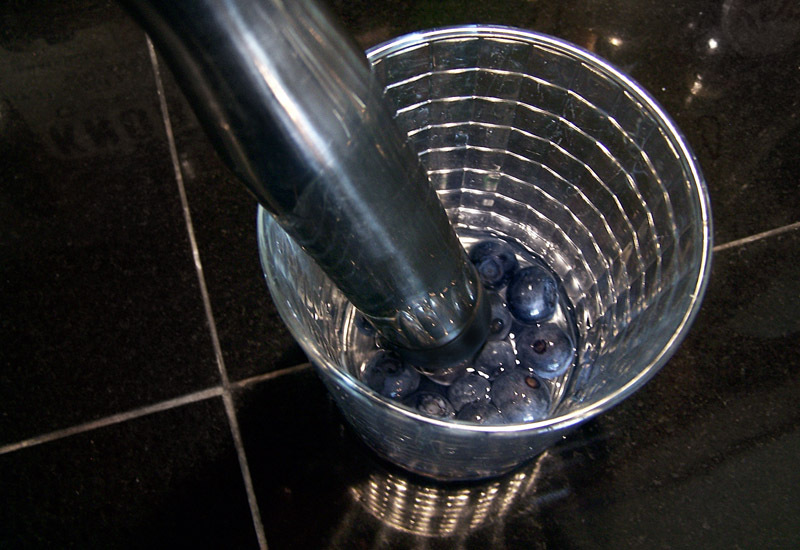 Jamie Boudreau is much cooler than I am, and he wrote these excellent posts on the topic of creme de violette. 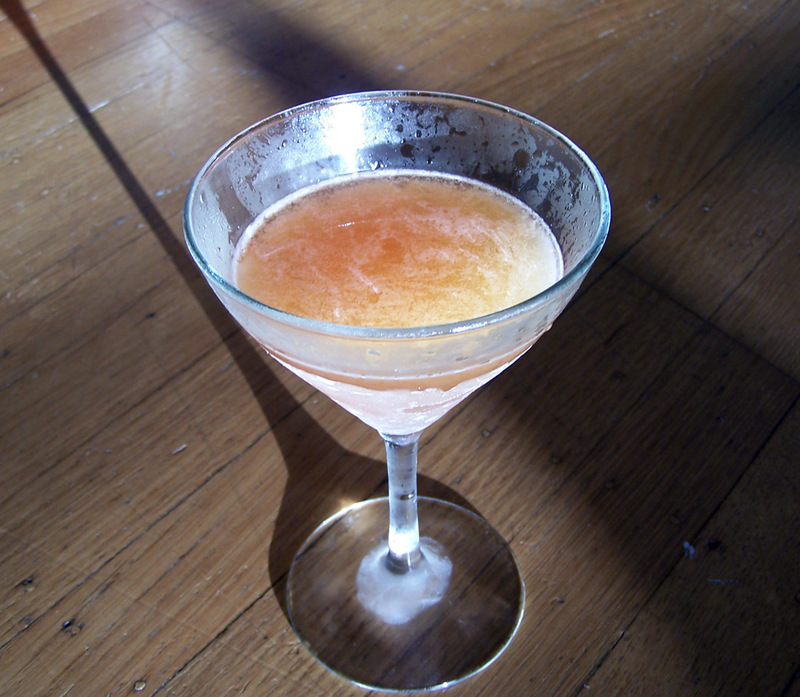 In the second post he gives the recipe for a drink called the Attention Cocktail, and I thought the combination of ingredients was too interesting to pass up. 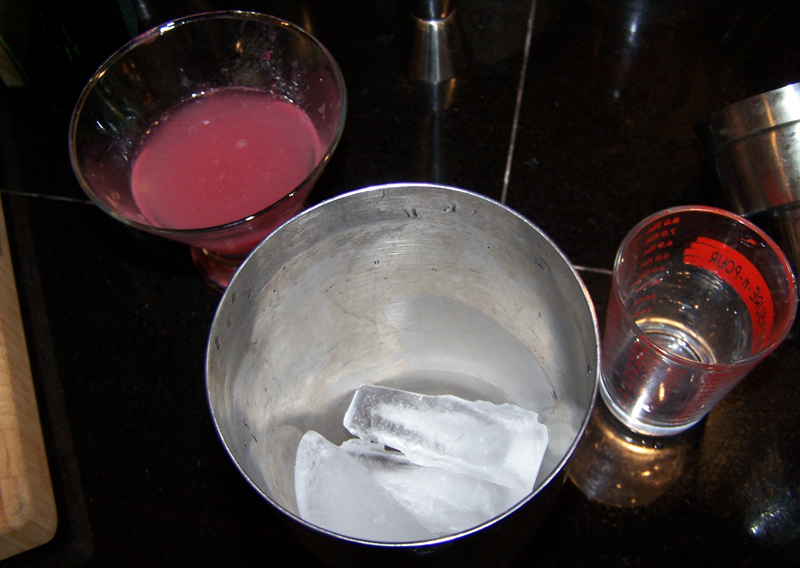 As you can see, I substituted Monin violet syrup for creme de violette, and Lebanese arak for absinthe. Arak is similar to pastis, which is made by maceration of aniseed and licorice root in a base spirit. Arak uses a grape distillate for its base spirit, and does not contain licorice root, but just like pastis or anisette, the end result is a licorice bomb in your drink that greedily stomps on every other flavor. Every drink I have tried to make using pastis as a flavoring agent has been so licorice-forward that I can barely enjoy it, even with a quarter ounce. 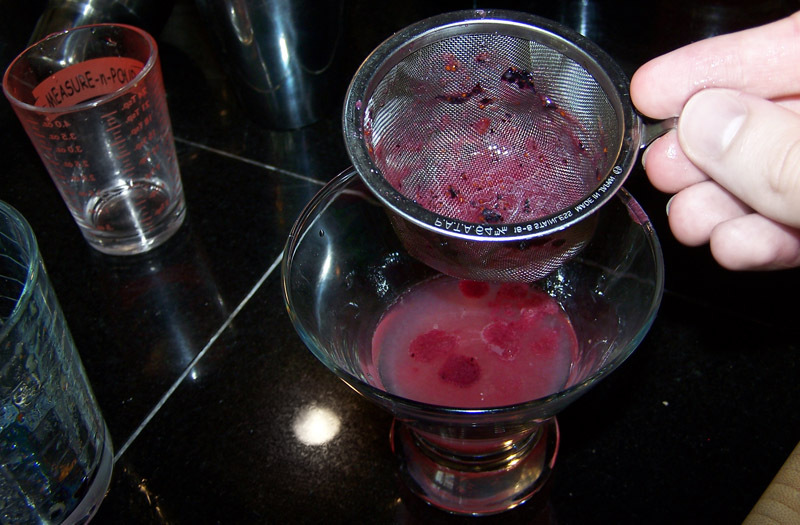 If you read Jamie Boudreau’s post you’ll notice he tried Monin’s creme de violette, and thought that it was awful, but he had better things to say about the syrup. I find the syrup to be pleasant and highly aromatic, though as with most floral flavoring agents, a little goes a long way. I had high hopes that the quarter ounce of violet syrup would be able to stand up to the quarter ounce of arak, and it did better than most, but it, too, was mostly defeated. 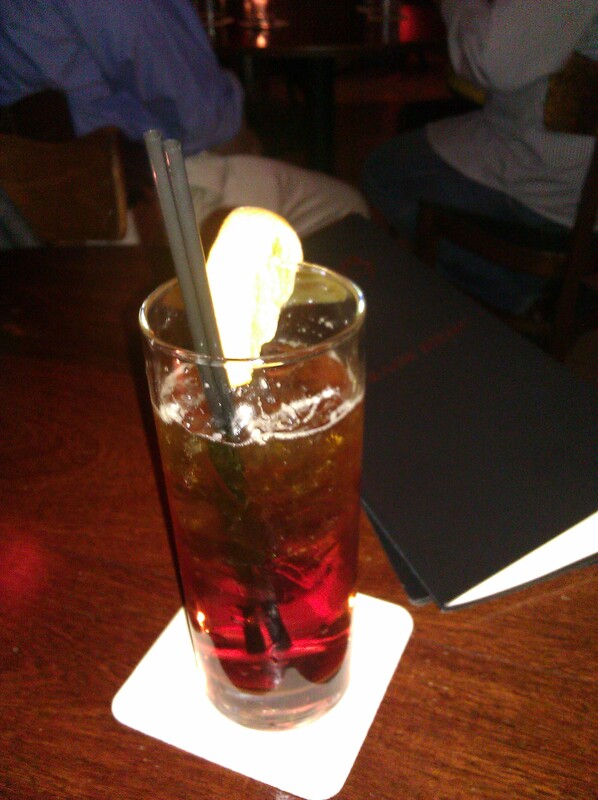 As you can see, the violet lent this drink a mild purple hue, which looked very elegant with the the slice of lemon peel. 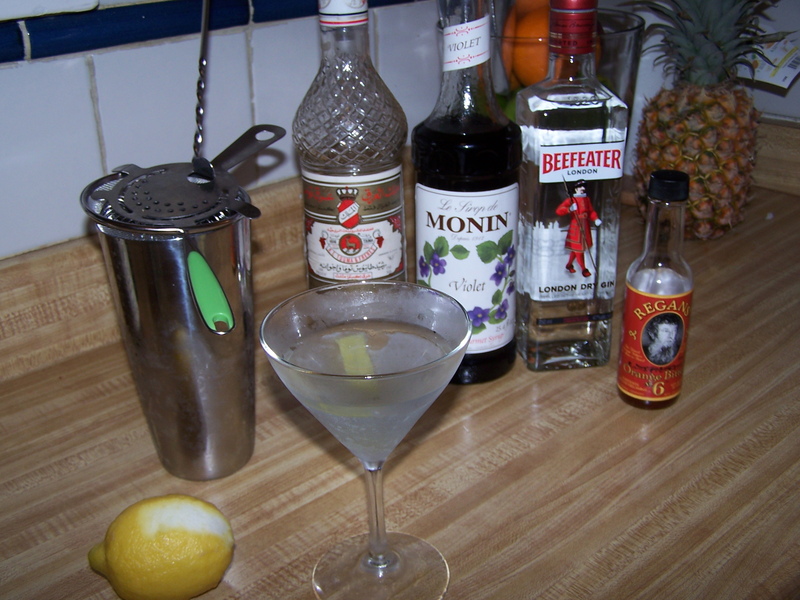 The gin and the dry vermouth were mostly lost in this concoction, just barely perceptible as an herbal baseline to the anise, which filled the palate until the swallow, when the violet was allowed to come through. My new policy on licorice drinks is going to be a dash and no more. Even so, the combination of these flavors was intriguing, and I intend to try it again with much less arak. 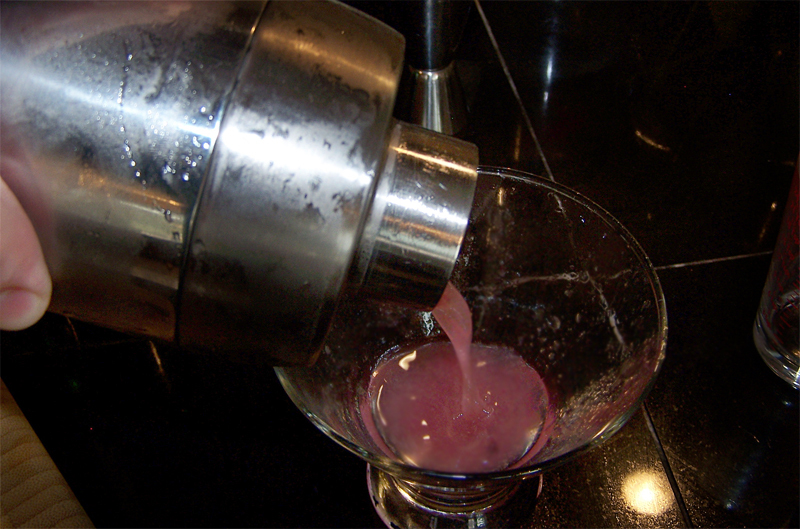 Categories: modern drinks | Tags: arak, gin, violet, violette | Permalink.